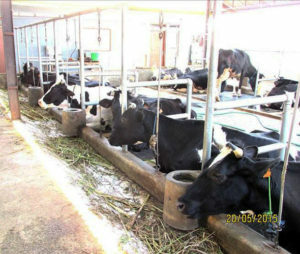 In recent years, milk production in West Java has declined such that they are unable to sustain milk production relative to levels in East Java. Many challenges exist for smallholder dairy farmers in West Java. These include limited forage quality and nutrition for dairy cows, poor milk quality and hygiene, and competing urban pressures. 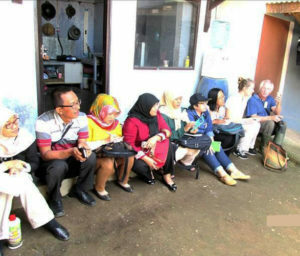 It is for these reasons the West Java government recommended a capacity-building program to be provided for dairy advisers, to improve their knowledge and skills and to help support dairy industry development. 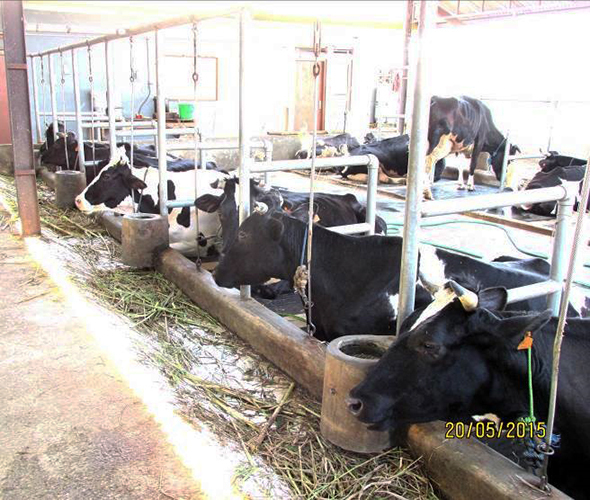 A five-day workshop was conducted in Lembang in May 2015 with 28 dairy advisers attending. It was jointly supported by The Crawford Fund, Victorian Government and the Government of West Java. Participants were selected from advisers that had regular contact with the farmers and were likely to be more actively involved with technology transfer at the smallholder dairy (SHD) level. The workshop was delivered by Zita Ritchie, Dairy Extension Officer with the Victorian Government, and Dairy Consultant, John Moran. It included presentations and group discussion on topics such as rearing young stock, feeding and nutrition, breeding, animal health and welfare, heat stress and housing design, milk quality and hygiene. A visit to a nearby model farm allowed advisers to apply the theory discussed during the workshop. “This workshop was effective in meeting the outcomes by increasing the knowledge of these advisers—but to lead change, follow-up workshops would be advisable. Building more practical components into this type of workshop would also be beneficial as it would provide advisers with further practical skills that they can apply and demonstrate in a farmer context,” said Ms Ritchie.